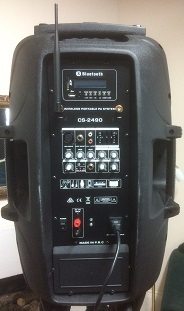 GROW has a near new large single speaker PA system available for hire. Ideal for a private karaoke evening, wedding, birthday function or any event requiring amplification of voice or music. Features include two Wireless Microphones, Bluetooth, USB and a Remote Control.